Looking for a healthier lifestyle? Looking for a way of coping with an illness? Do you suffer from: Diabetes Type 2, Irritable Bowel Syndrome, Depression, Bloating or Eczema. If your answer is yes to any of the above, then read on…. If you suffer from painful joints / muscles or experience reduced movement due to injury or illness, Laura can help you regain a better level of mobility and fitness by rebuilding the muscles surrounding the affected area allowing you to improve your overall core/body strength. If you are carrying excess body fat due to illness or poor diet, Laura can help you lose weight and improve your confidence by giving you one-to-one nutritional and fitness advice in private comfortable surroundings. If you are planning for a holiday or special event such as a wedding or just want to improve your overall health or even cure irregular sleep patterns, our experts here at Laura can help or even cure irregular sleep patterns, Laura can help you achieve a toned more shapely figure through exercise and nutrition. This can make you more mentally alert during the day and aid with restless sleep. If you suffer with diabetes, asthma, irritable bowel syndrome or indigestion, Laura can help you by re-educating your eating habits which can help you eliminate the need for some medication, by controlling it with regular meals adapted to your particular condition. If your goal is to gain weight, Laura can help you to increase your lean tissue (muscle) enabling you to gain good weight. Personal one to one training program to suit the individuals needs in gym, home or outdoor sessions. Review food plan on a regular basis. Help with rehabilitation from sports injuries or joints problems. Help recover from illnesses through good nutrition and exercise. Help those wanting to gain weight, as well as lose weight. Offering sports specific training and nutrition for all levels from county to Olympic athletes. Suspension Training System Classes and Sessions. Body building advice from novice to professional. Seminars on nutrition and exercise available for schools and colleges. Healthy eating to prepare for occasions such as weddings. Corporate & business nutrition and exercise training sessions and seminars. PCT Hammersmith & Fulham NHS. Helping celebrities, models, actors, dancers & entertainers to get in shape. Footballers nutritional advice, from pre-season, training days and match day. 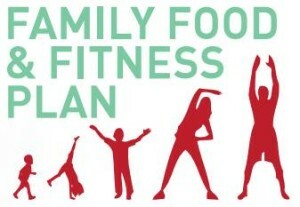 Children’s food plan and exercise sessions (one to one available). Creating food plans for students exam preparations.